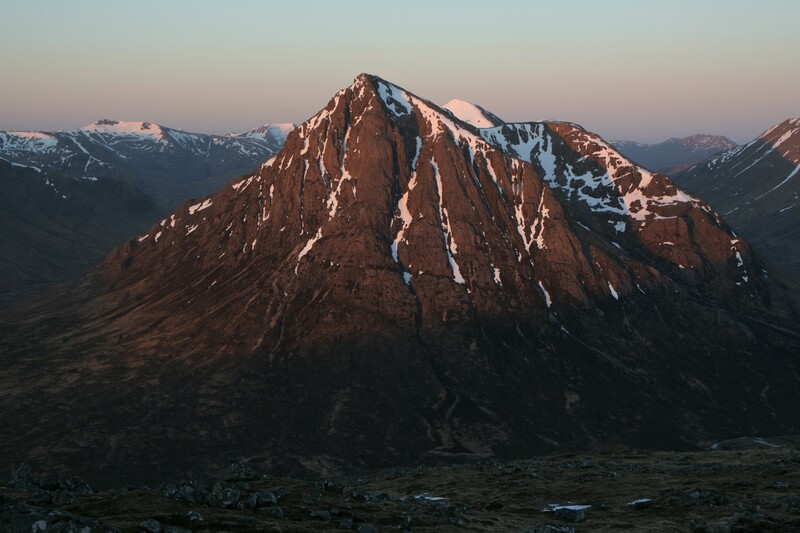 After watching @steamingboots film of his winter camp up Beinn a’ Chrulaiste I had become fixated with a similar adventure. 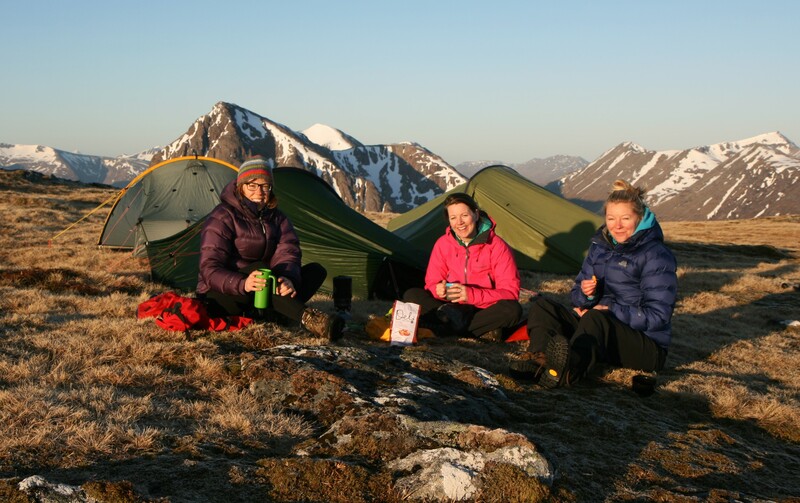 Gill had suggested some ideas for the weekend and then on Thursday I asked if the others wanted to camp up a ‘hill’ in Glencoe. I’ve learned to be suitably vague with details. 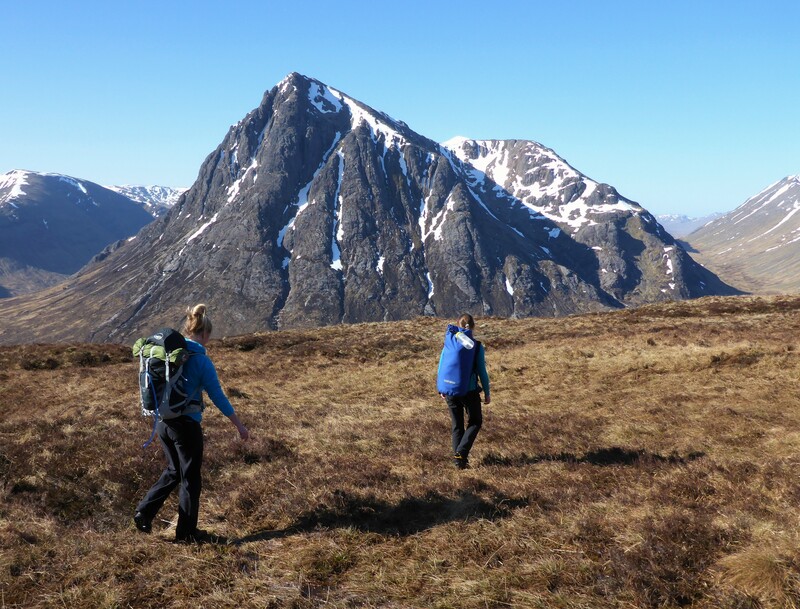 So after work on Friday we loaded up the car and headed up to Glencoe. 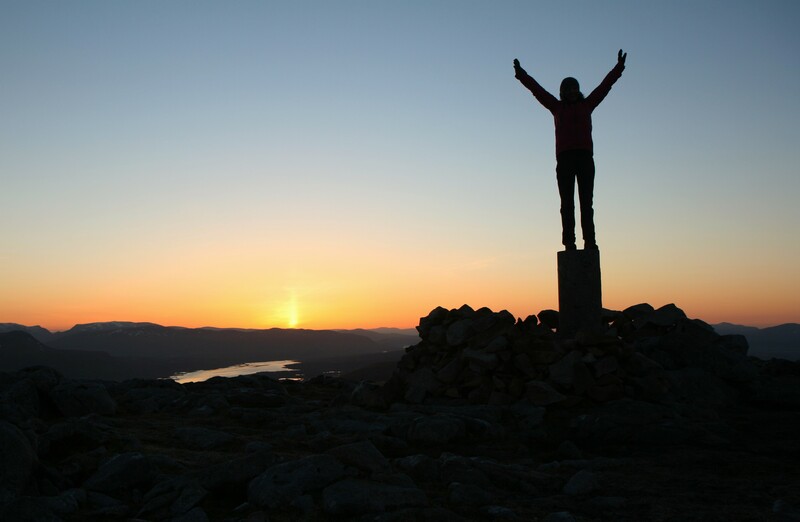 After an electric sunset over Rannoch Moor we packed our bags in the failing light and set off for the summit. 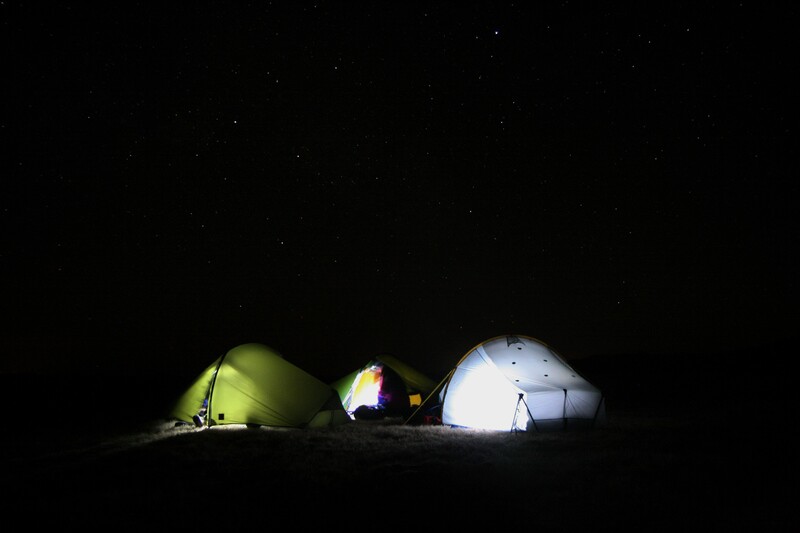 It was a clear night and despite no moon, our eyes adjusted and we managed without head torches for a good while. 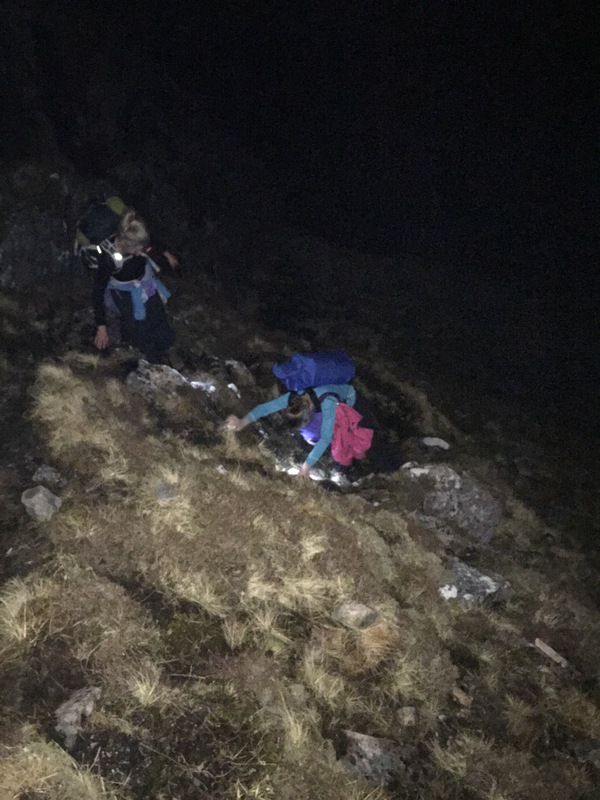 We weaved our way up through the patches of snow and managed to find a nice grassy spot near the summit to camp. I’ve been desperate to see the aurora for years and despite several late night dashes to East Lothian, I’ve always returned disappointed. I missed some spectacular displays the previous two nights and was hoping this was going to be my time. Nothing visible to the naked eye or camera lens but still a magical moment as we watched shooting stars and the milky way. 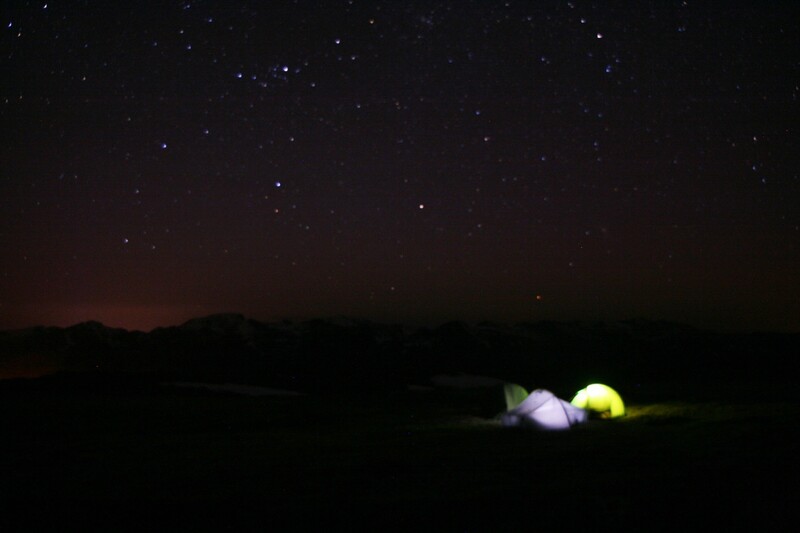 We were quickly to bed seeking the warmth of our sleeping bags but it was a cold night and we didn’t sleep too well. 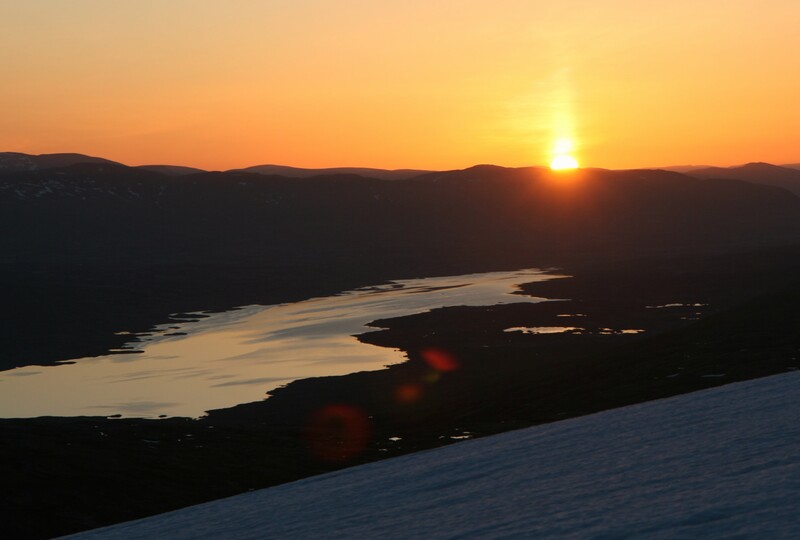 The alarm was set for 5.50am to catch the sunrise. I normally struggle with early rises but peeked out my tent and the start of the orange glow and a beautifully calm morning was a winner. 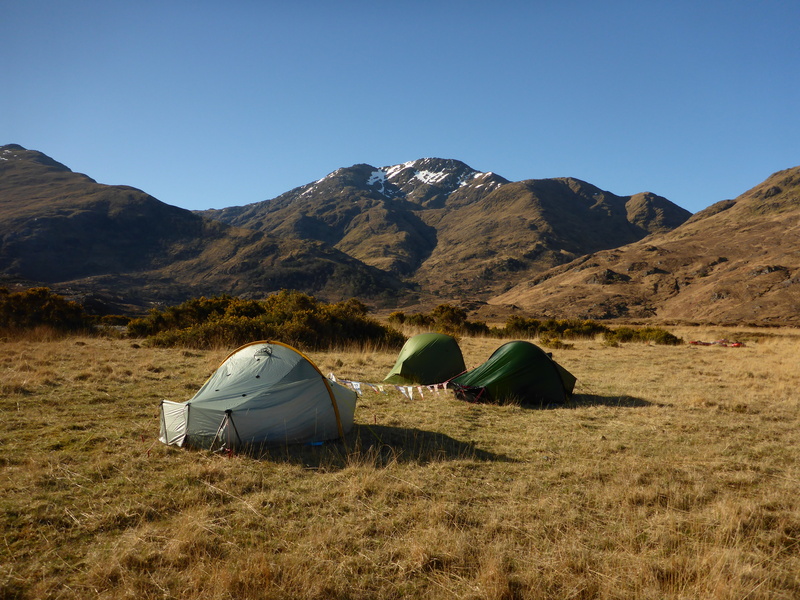 We warmed ourselves with coffee as the sun slowly spread through our camp, our frosty tents glistening. The moment the sun reached our faces reminded me of the Banff Mountain Film Festival winner North of the Sun, although our journey was one night, not nine months! 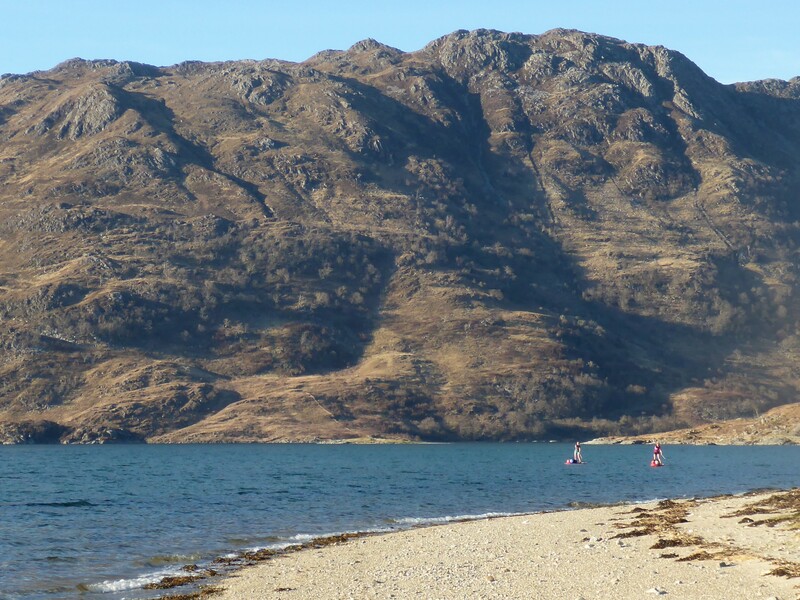 The sun warmed Buachaille Etive Mor and it would have been easy to stay put for the day soaking up the panoramic views but we had to crack on with our next adventure – paddle boarding into Barisdale Bay on the Knoydart Penninsula. 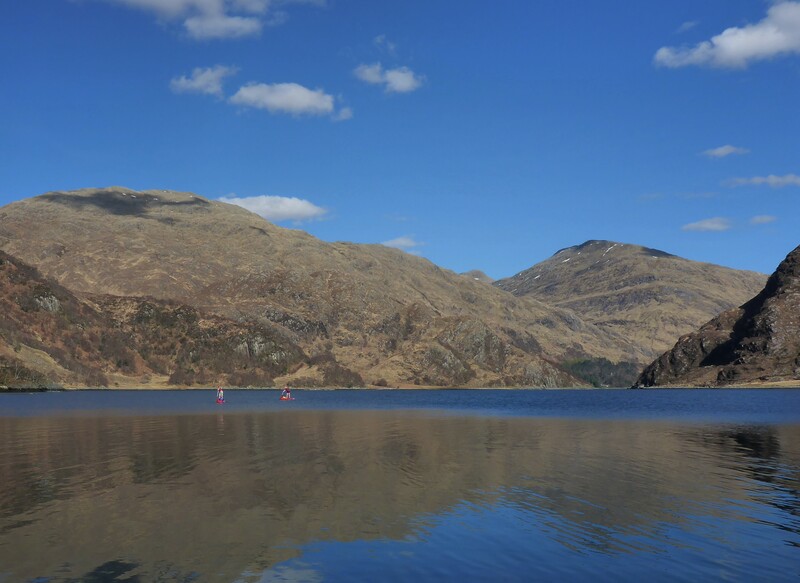 If I though the wee windy roads north of Assynt were something, the road into Loch Hourn is on a different level! We hadn’t timed things too well and the combination of an incoming tide and headwind made it look like we might not reach Barisdale Bay. We couldn’t rest and refuel without being pushed backwards and it was energy zapping. We hugged the shoreline and took advantage of where the rock jutted out creating a welcome haven of calm. We arrived at Barisdale Bay exhausted but with a real sense of achievement. 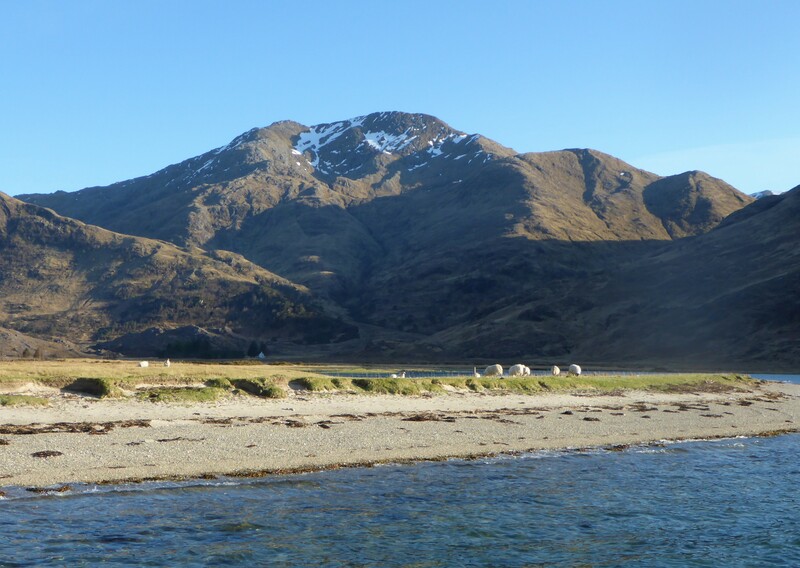 It is nestled amongst the towering Beinn Sgritheall, Ladhar Bheinn, Luinne Bheinn and Meall Buide and has a great sense of remoteness. 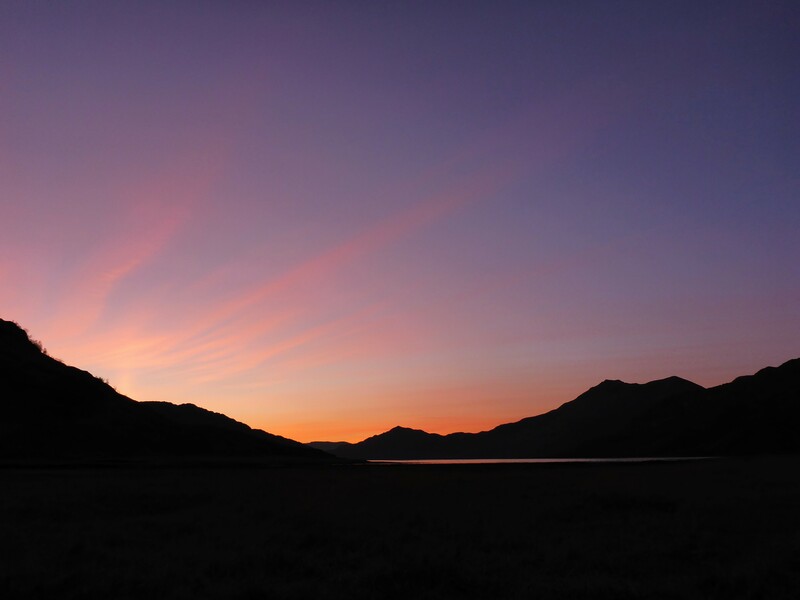 Another stunning sunset (with views over to Skye), another perfect morning. 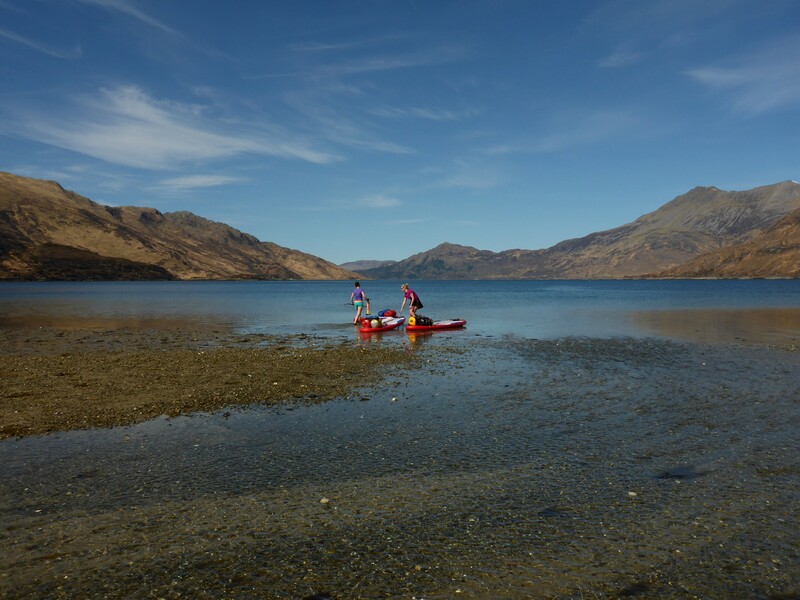 We started our paddle back with a glassy Loch Hourn, enjoying the sun on our backs and the tide carrying us along. The wind picked up towards the end reminding us nature is boss. The best memories are the ones we earn and we certainly did that! 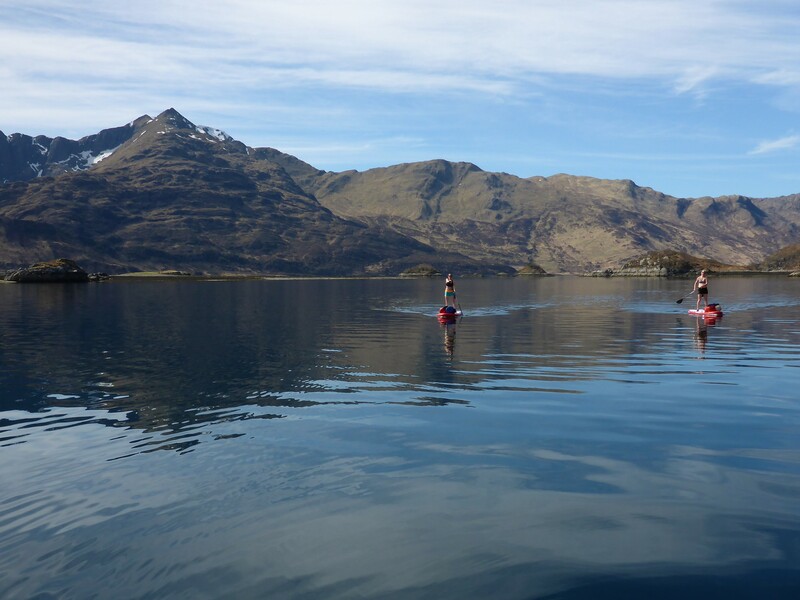 This entry was posted in Outdoors and tagged Barisdale Bay, Glencoe, Knoydart, Outdoors, Paddleboarding, Scotland, Wildcamping on 28/04/2015 by Mangoventures.